Cheri Abrams is an Therapist and Educator for over 23 years. She is a Certified Cupping Therapist, Advanced Practitioner in Therapeutic Massage, Reiki and Shiatsu, flautist, composer, multi-instrumentalist, and Martial Artist. Becoming deeply committed into the world of martial arts brought about her interest in the alternative healing methods of Traditional Chinese Medicine, Shiatsu, and Massage Therapy. For fifteen years she devoted her life to training in Ninjutsu and Kung Fu, for which she achieved a black belt level in both arts. 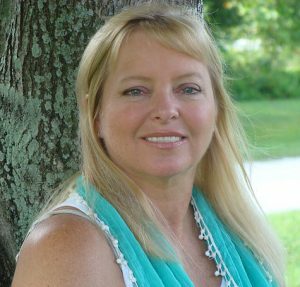 To become a black belt level in Kung Fu, she had to learn basic TCM, (Traditional Chinese Medicine) and Shiatsu, which led Cheri to become a Massage Therapist, and a teacher for Space Coast Health Institute in Melbourne, Florida. ​Throughout all the years of her healing practice, listening to just about every New Age, flute, world, classical, and easy listening cd on the market, it only seemed natural for Cheri to step into the genre. Her first contribution was recording flute for a meditation CD, Connecting with All Life, for friend and client, Kumari Mullin. Their collaborations continue to this day, and keep checking this site for announcements of new music.